I’m not a guy. I’m not a gourmet. But the recipes in this Men’s Health cookbook are delicious, easy and pretty straightforward for a cooking newbie like myself. 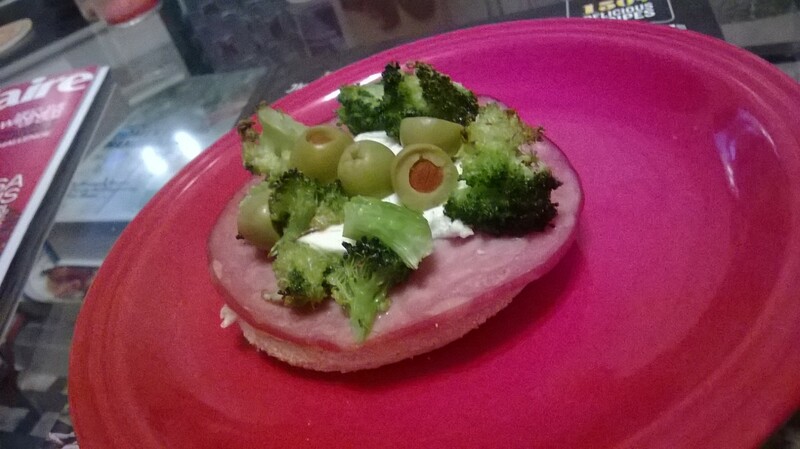 Although I didn’t have all the necessary ingredients to make the pesto-goat cheese mini pizzas but I cobbled together a slightly different version. Really though, if you put goat cheese on anything, how could it possibly go wrong? In my adventures in amateur cooking, you are so deliciously simple, healthful and fun that it’s almost not fair. 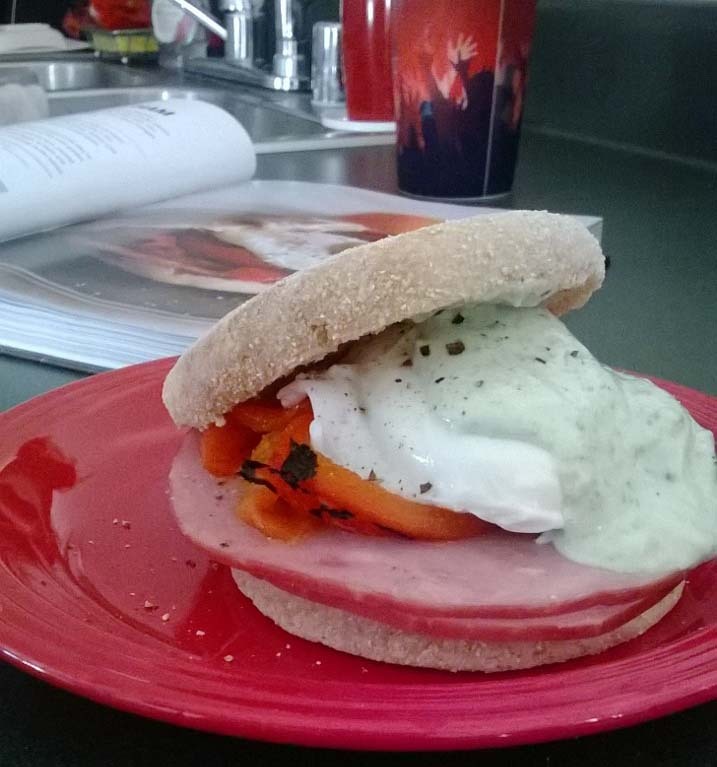 This mixture of greek yogurt and pesto on top of ham with a poached egg is clever and yummy.